Baker’s twine has long been a quintessential embellishment for crafts of all kinds — card making, scrapbooking, and gift wrapping, just to name a few. But did you know that there are many other creative uses in crafting and DIY, which utilize this fun and fabulous material as a focal point rather than just an added feature? I didn’t. Until I picked up a copy of the latest edition of Make It Yourself magazine and read the article, Baker’s Dozen, highlighting 13 sweet little projects for this multi-colored twine. It inspired me to go out and buy some baker’s twine of my own. Choose or create a simple line drawing to replicate. If you’ve got a digital craft cutter, import the line drawing into your cutter’s software and make 1/16″ circles along the lines, approximately 1/2 inch apart. Remember to delete the drawing, but not the circles, before sending your card stock through the cutter. If you don’t have a digital craft cutter, use an eyelet setter with a 1/16th” head. Make a hard copy of your drawing on regular paper and mark points for your holes (approx 1/2 apart) with a pen. Lay this template over top of your card stock and use it as a guide for punching your holes. Thread a big-eyed needle with your desired colors of baker’s twine, and connect the dot’s with a backstitch (see How to Backstitch). 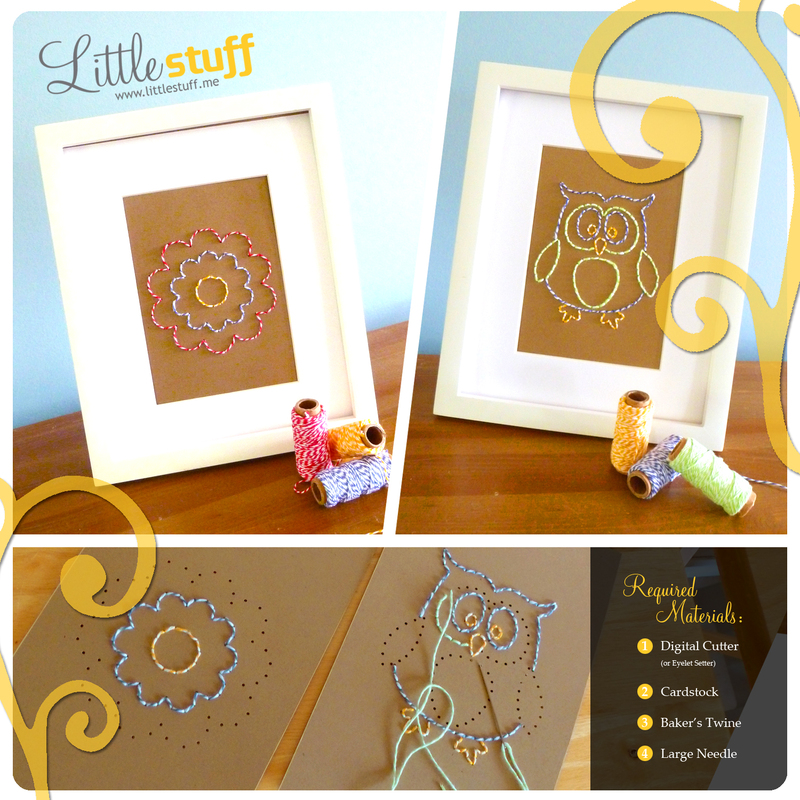 This is a great project for producing a unique piece of framed art, or a beautifully textured handmade card. Want to duplicate one of the project(s) above? Finally, here are 10 of my favourite projects using baker’s twine. Direct links to the original designers and their tutorials are given at the end of this post. For more ideas, visit my Pinterest board, Baker’s Twine DIY Projects. Stitched Artwork – That’s me and you’re already there! What a cute idea! plus it s like you re hiding in my kitchen and have seen the gigantic box of baker s twine I ve ordered from Pick your Plum!